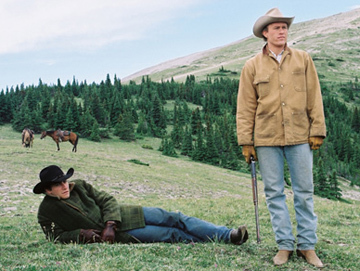 Brokeback Mountain, Ang Lee's 2005 drama about a complicated 20-year relationship between a ranch hand and a rodeo cowboy, was adapted from the Annie Proulx short story of the same name. The tragic love story won 3 Oscars (director, adapted screenplay and score) and was nominated for a total of 71 awards. How well do you know Brokeback Mountain?